Each nation has wildly different views about the conflict. India’s defence ministry announced in June that it would hold a month-long celebration of the 50th anniversary of the country’s 1965 war with Pakistan. The celebration is to start on Friday and end on September 23, when the fighting came to an end following a ceasefire. It is to cost around Rs 35 crore, which, unsurprisingly, has attracted criticism. Besides the cost and the morality of celebrating a war, the commemoration is problematic because the two sides differ widely about what caused the war. In addition, the war’s legacy is unusual because both India and Pakistan claim victory. More N-arms will not deter India to a greater extent. But Michael Krepon and Toby Dalton, both former U.S. policymakers who worked on nuclear issues with expertise on South Asia, argued that the only conceivable strategy to accomplish this would be adopting bold nuclear weapons-related initiatives to clarify its commitment to the global nuclear order and ally concerns that its nuclear practices are a major source of danger on the subcontinent. KABUL, Afghanistan — U.S. forces have launched multiple airstrikes on a district in southern Afghanistan seized by the Taliban the day before, U.S. officials said Thursday. “U.S. forces conducted airstrikes in Musa Qala today against individuals threatening coalition and Afghan forces,” Col. Brian Tribus, a spokesman for U.S. and allied forces in Afghanistan, said without providing further details. Afghan Army Brig. Gen. Mohammad Rasool Zaizai said Afghan and allied warplanes struck army and police headquarters in the Musa Qala district in northern Helmand province Thursday, likely killing fighters and civilians. He said it was not possible to confirm casualty figures because insurgents control the area. A U.S. defense official said more than a dozen U.S. airstrikes hit targets in Musa Qala over the past three days. The official was not authorized to publicly discuss details and so spoke on condition of anonymity. ISLAMABAD — As the military operation to clear the Pakistani Taliban (TTP) and other terrorists from Pakistani soil enters what is predicted to be the final stage, experts warn the struggle could continue. The Pakistan Air Force extensively bombed targets in the Shawal Valley, the last significant terrorist pocket in North Waziristan, in the Federally Administered Tribal Areas (FATA) bordering Afghanistan where many terrorists are believed to have fled as a result of Operation Zarb-e-Azb, as the mission is known as. According to a statement by the military’s Inter Service Public Relations (ISPR) media branch, Pakistan Air Chief Marshal Sohail Aman met Army chief Gen. Raheel Sharif to discuss the ongoing operation. Sharif “vowed to eliminate terrorists even from the remotest pockets in the area at all cost” and was assured of “full support” by Aman, who has himself piloted F-16s during missions over the Shawal Valley. STANFORD – The Chinese government’s heavy-handed efforts to contain recent stock-market volatility – the latest move prohibits short selling and sales by major shareholders – have seriously damaged its credibility. But China’s policy failures should come as no surprise. Policymakers there are far from the first to mismanage financial markets, currencies, and trade. Many European governments, for example, suffered humiliating losses defending currencies that were misaligned in the early 1990s. Still, China’s economy remains a source of significant uncertainty. Indeed, although the performance of China’s stock market and that of its real economy has not been closely correlated, a major slowdown is underway. That is a serious concern, occupying finance ministries, central banks, trading desks, and importers and exporters worldwide. 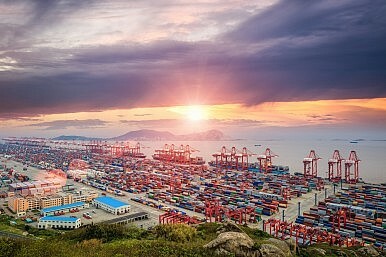 China’s government believed that it could engineer a soft landing in the transition from torrid double-digit economic growth, fueled by exports and investments, to steady and balanced growth underpinned by domestic consumption, especially of services. And, in fact, it enacted some sensible policies and reforms. A strong rally today notwithstanding, China’s stock shock has wiped trillions of dollars from market valuations, triggering the biggest correction in global markets since the European sovereign debt crisis of 2011. For sharemarket “bears” though, it is only the latest in the numerous risks facing a sluggish global economy. After a “Black Monday” in which global stockmarkets, currencies, commodities and bonds all felt the impact of Beijing’s bearishness, Tuesday’s intervention by the People’s Bank of China (PBOC) helped to stem further losses on overseas markets. The PBOC cut the reserve requirement ratio and benchmark interest rates, responding to its sharemarket rout as well another disappointing reading on manufacturing, which last week fell to a six-year low. Professor Foot, over the past 40 years you have analyzed the evolution of U.S.-China relations. What key factors will determine the future direction of this strategic relationship? 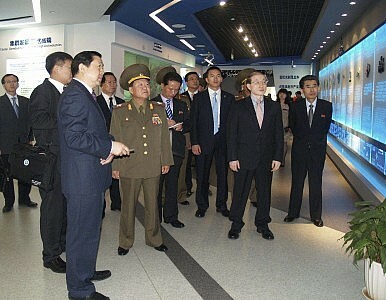 Less than 24 hours after the ostensible end of “the August Crisis” along the Korean Demilitarized Zone (DMZ), Zhang Ming, one of China’s various vice-foreign ministers, revealed that the DPRK will send Choe Ryong-hae as its rather high-level representative to Beijing’s September 3 parade, bearing his Party titles. In spite of the borderline silly and solipsistic propaganda being produced about the parade by Chinese Communist Party media, the event itself and the activities around it promise to result in a high-stakes diplomatic event. Not least, South Korean President Park Geun-hye’s attendance at the parade is sure to prompt a wave of speculation about the prospects for yet more inter-Korean talks. Given how low the proverbial bar is – the notion of “progress” in North-South Korean relations at present consists of any interaction that does not involve cursing at or trying to kill or intimidate the other party – it is hard to see how this could fail to induce hopes for a breakthrough. Taiwan's Ministry of National Defense on Wednesday announced that sluggish recruitment fig.ures were once again forcing it to delay its plans to end military conscription next year, one of the major goals of the Ma Ying-jeou Administration. Convincing enough qualified young men and women to forsake the comforts of civilian life and enlist in the armed forces will always be a great challenge, one that has been made more formidable by recent controversies such as the July 2013 death of Army conscript Hong Chung-chiu and the 'Apache-gate' scandal earlier this year. At the very least, the Government should not make matters worse by sending contradictory signals about the nature of the threat facing Taiwan to potential recruits. Sadly, such a signal is exactly what the Chinese Nationalist Party (KMT) is about to broadcast after it allowed its honorary chairman, Lien Chan, to attend a series of events in Beijing commemorating the 70th anniversary of Japan's defeat in World War II, which will include a goose-stepping military parade on September 3 of such proportions as to bring to mind the very fascism that was defeated in the war. If reports prove accurate, Russia is set to finally close a deal many years in the making—selling China one its most advanced fighter jets. According to a report in the WantChinaTimes citing work done by China’sGlobalTimes, Beijing will soon be in possession of twenty-four Russian Su-35 fighter jets. “We are holding talks with our Chinese partners on agreeing a draft contract for the supply of fighter jets,” explained Ivan Goncharenko, first deputy director general of Russia's arms exporter Rosoboronexport. A sale of the Su-35, considered by many defense officials to be one of the best fighter jets in the world, would be significant for a number of reasons. For starters, the fighter is highly advanced and would be a strong upgrade for China’s air force. It should come as no surprise that the People’s Republic of China seeks to alter the international order. A desire to enhance its influence under rules of its own making are why Beijing has moved to redefine the maritime patterns of the Western Pacific, alter international economic and diplomatic institutional arrangements and carve out a footing for its interests through development projects. These are the actions of a rising power. For the United States, China’s more-adventurous foreign policy certainly creates a set of unwanted challenges within the Asia-Pacific, but the United States should not overlook that China’s vision is not merely fixated on the Pacific. Chinese engagement in Eurasia is also on the rise. China’s west is an attractive focal point—as it avoids the tensions of East Asia—can serve as a tool for development, and can assist in enhancing security in a region where it is needed. 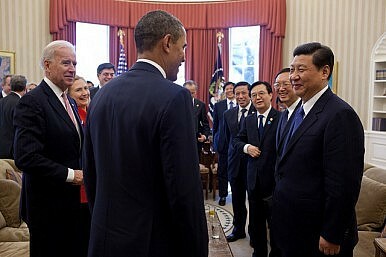 Chinese adventures in Eurasia also facilitate the United States’ interests in Asia. China sent the next in a series of military-operated spy satellites into orbit Thursday aboard a Long March 4C rocket in an unannounced launch from the country’s northeastern space center. Fueled by a mixture of liquid hydrazine and nitrogen tetroxide, the three-stage Long March 4C rocket lifted off at 0231 GMT Thursday (10:31 p.m. EDT) from the Taiyuan launch base in northeastern China’s Shanxi province, according to the state-run Xinhua news agency. The blastoff occurred at 10:31 a.m. Beijing time and was not announced in advance by Chinese authorities, keeping with standard practice for Chinese military launches. But analysts believe the spacecraft is intended to operate as a military spy satellite. Tracking data from the U.S. military’s Space Surveillance Network shows the Long March rocket placed its payload, named Yaogan 27, into an orbit about 1,200 kilometers (745 miles) above Earth at an inclination of approximately 100 degrees. 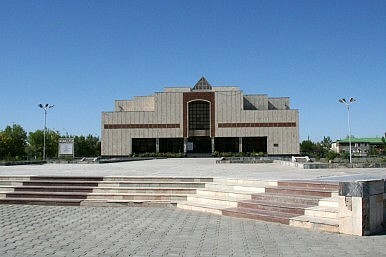 Marinika Babanazarova took over the Karakalpak Museum of Art in Nukus, Uzbekistan in 1984 after the museum’s creator, Igor Savitsky, passed away. Monday, after 31 years guarding the collection of Soviet art gathered at the remote museum, Babanazarova was suddenly dismissed from her position as guardian of more than 90,000 pieces of Russian and Central Asia art and artifacts. Staff and patrons of the museum, which is located in western Uzbekistan’s autonomous region of Karakalpakstan, have risen up in Babanazarova’s defense. In an impassioned statement, the staff of the museum write that they do not doubt her honesty and assert that the collection remains intact. The U.S. has asked Australia to help bomb Syria, in a letter delivered to the embassy in Washington. 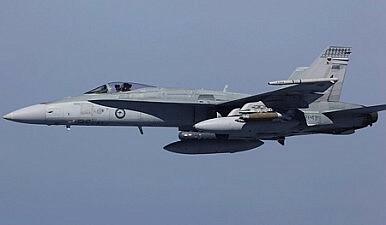 Fairfax Media has reported that “the driving force for the formal request received last week from the United States for the RAAF to join the air campaign in Syria came more from Canberra – and in particular the Prime Minister’s office – than from Washington.” At least according to senior government sources. Australian Prime Minister Tony Abbott has denied the claim. At a press conference during his North Queensland trip Wednesday Tony Abbott said that in fact the original request had come during a phone conversation with U.S. President Barack Obama about the Trans-Pacific Partnership on July 17, when he also called to give his condolences for the Chattanooga shooting. 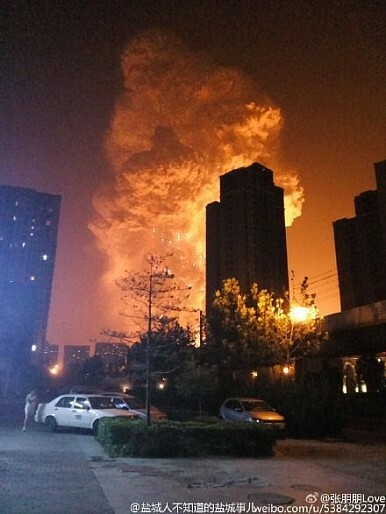 Two weeks after massive explosions erupted at a chemical warehouse in Tianjin, China’s Ministry of Public Security announced that 12 people have been arrested for their role in the blasts. As of Thursday, the death toll from the August 12 explosions had climbed to 145, with 28 still missing. That includes 104 dead or missing firefighters. According to Xinhua, those arrested included executives from Tianjin International Ruihai Logistics Co. Ltd., the company that operated the chemical warehouse. The company’s chairman Yu Xuewei, vice chairman Dong Shexuan, and three deputy general managers were all arrested, Xinhua reported. Ruihai’s general manager and deputy manager are also under house arrest. Xinhua had previously reported that company executives admitted to using political connections to circumvent basic safety regulations, especially the rule that storage facilities for hazardous materials must be at least 1,000 meters away from public buildings. Ruihai’s warehouse was less than 600 meters from the nearest residential building. Top generals predict the fight against ISIS will last more than a decade. It’s not a message the White House or Congress wants to hear. Looking out over rows of young American soldiers sitting in a dusty hall in Baghdad, the U.S. military’s top-ranking officer had a few questions for the troops. Had they deployed to Iraq before, Gen. Martin Dempsey asked. Out of about 200 soldiers in the hall, three-quarters raised their hands. They all put up their hands. Fareed Zakaria vs. Max Boot: Who's Really Right on Iran? The “Joint Comprehensive Plan of Action (JCPOA)” that the United States, the EU, France, Germany, the UK, China and Russia finalized with Iran on July 14 is perhaps the most controversial post–Cold War foreign policy agreement. The 159-page document is not exactly a masterpiece of prose, so those seeking a primer on the principal disagreements dividing the deal’s opponents and proponents should turn to two recently published open letters. The first, written by CNN commentator Fareed Zakaria, supports the deal and is directed to Senator Chuck Schumer, who on August 6 issued a statementopposing it. The second, issued by Council on Foreign Relations foreign-policy expert Max Boot, addresses Zakaria, challenging his defense of the deal. Both are cogent, serious and refreshingly devoid of the blowhard rhetoric often deployed in debates on the accord. After a long, serious, and sustentative engagement, Iran finally struck a historic deal in Vienna with the P5+1 over its controversial nuclear program. The Iran deal lifts oil and financial sanctions in exchange for curbs on Iran’s nuclear capabilities. The deal also heralds the revival of agency and diplomacy in dealing with the Iranian nuclear crisis that has been at the epicenter of the Middle East over the last decade. Few crises have lasted this long at such tempo in the post-Cold War era. The deal that was reached is the most significant agreement between the Great Satan and the Axis of Evil in more than three decades of animosity. As Congress wrestles with the question of whether or not to support President Obama’s diplomatic agreement with Iran, there is a broad consensus over the need to confront Iran’s dangerous behavior. Iran has been a destabilizing player in the Persian Gulf for decades, supports the Assad regime’s murderous behavior and sponsors terrorist organizations that oppose Israel, such as Hamas and Hezbollah. It represses its own people and deserves maximum scrutiny of and pressure against this behavior. However, the danger of the current Congressional debate over the nuclear deal is that it mixes up cause and effect, with opponents of the deal citing bad Iranian behavior as the reason to reject it, when the opposite is true. It is precisely because of bad Iranian behavior that the P5+1 aggressively sought an arrangement to verifiably block Iran’s acquisition of the bomb. And we achieved it. It would be disastrous to undo such an achievement. Let there be no doubt that this is the best agreement ever negotiated to block a new country’s acquisition of nuclear weapons. One can quibble with some of the details at the margins of the agreement, but at its core, it is an excellent agreement. Gideon Rose's defense of Obama's foreign policy is excellent -- and clarifies why it's so hard to defend. Compromise is a value coming under increasing pressure in Europe -- and so are the centrist political parties that champion it. 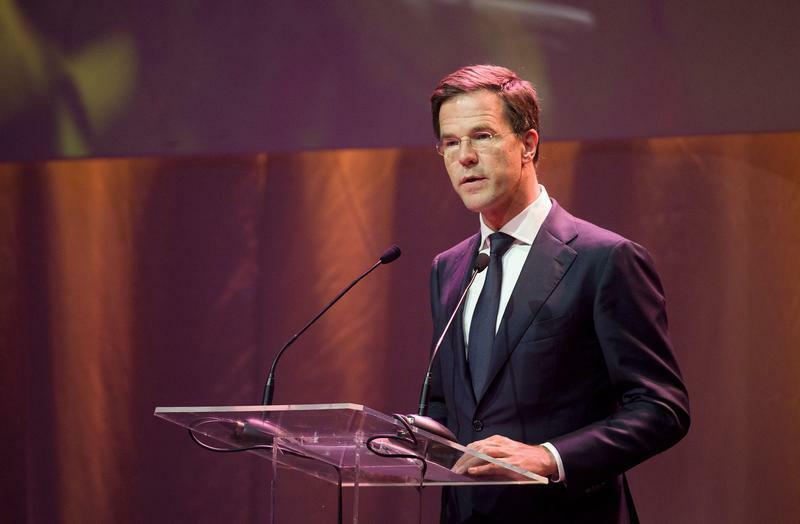 With so-called radical parties gaining support seemingly everywhere, the Continent may be facing a return to the polarization of pre-1940 politics. Meanwhile, centrist politicians are at a loss to find a solution. It wasn't that long ago that Europe faced the first recent instance of a rise of radical parties. When Jurgen Haider's populist FPO rose to power in Austria in the late 1990s almost overnight -- along with the Danish People's Party in Denmark -- on a strongly anti-immigration platform, centrist parties in the rest of the Continent scoffed. This would blow over, they thought. Blow over it did not. Everywhere in Europe -- north, west, east, and south -- radical parties are making strong gains. Whether backing the left-wing Syriza in Greece, the Five Star Movement in Italy, Podemos in Spain, the extremist right-wing Jobbik in Hungary, the Front National in France, the Sweden Democrats in Sweden or the far-left leading candidate for Labour leadership in the United Kingdom, more and more voters seem fed up with centrist politics. 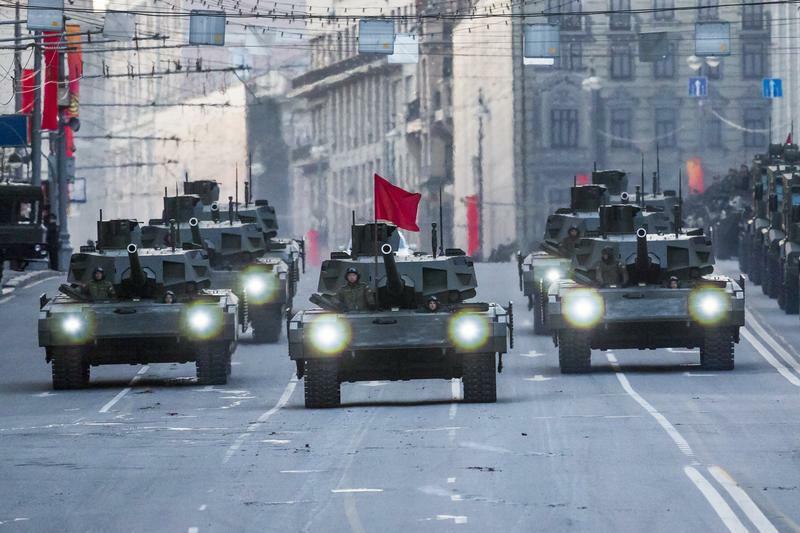 Can Russia's Military Bots Keep Pace? The United States remains the global leader in fielded military robotic and autonomous systems -- from unmanned aerial systems, in use now for a decade and a half, to emerging land, sea, and undersea-based technologies that may see use in future conflicts. America is pouring financial, technical, and intellectual support into such advanced developments, and while countries such as Israel are also seen at the forefront of armed robotics, Russia and China are trying to close the gap. Pressed by sanctions and afflicted by a worsening national economy, Moscow is nonetheless seeking to match America's strength in emerging technologies through domestic developments of asymmetrical and in-kind inventions. The Russian daily Komsomolskaya Pravda often interviews government officials on foreign policy and domestic matters, thus giving voice to official doctrines. The publication recently looked at how the Russian Federation might counter American technological dominance in future conflicts. The newspaper characterized the most cutting-edge U.S. efforts at military innovation as frequently amounting to giveaways by lawmakers to key contractors such as Lockheed and Boeing, but worried nevertheless about the definite military advantage they could give the United States if actually deployed. Kyrgyz President Almazbek Atambayev has a busy travel schedule ahead of him, but it just got a little lighter. In September, the Kyrgyz president will visit China and Iran, but his planned working visit to the United States, to attend the 70th session of the United Nations General Assembly, has been cancelled. Official sources say the cancellation is because of the upcoming parliamentary elections, which were recently scheduled for October 4. 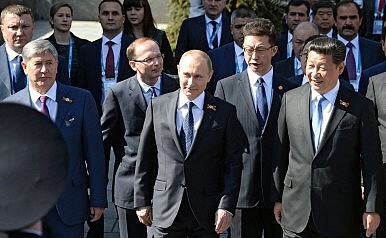 Atambayev will make a three-day official visit to China next week. During the visit, he is expected to sign a number of agreements, paramount among them a 10-year cooperation program. Speaking at a press conference, the head of the administration’s foreign policy department, Sapar Isakov, said that Kyrgyzstan and China are set to sign a cooperation agreement worth $1 billion yuan (over $150 million USD) for the promotion of major projects over a three-year period. The first tranche of $350 million yuan ($54 million USD) is targeted at rehabilitating roads in Bishkek. Since the Kremlin’s invasion of Ukraine in 2014, Russia’s other neighbors have grown increasingly worried over what — or where — Moscow would try next. This fear has been particularly acute for the small Baltic countries of Estonia, Latvia, and Lithuania, each of which maintain an ethnic Russian minority and view their time in the Soviet Union as part of an illegal occupation by Moscow. Amid these rising tensions in Eastern Europe, Estonian Interior Minister spokesman Toomas Viks confirmed Thursday that his government plans to build a 70-mile fence on its eastern border with Russia. Thursday’s comments come after a series of of incidents that sparked a diplomatic row between the already unfriendly neighbors, and shone a spotlight on their borders in particular. Last week, Estonian intelligence officer Eston Kohver was sentenced to 15 years in a Russian prison on controversial charges, including spying and illegal border crossing. In June, two Russian parliamentary deputies reportedly asked Moscow’s prosecutor-general to review the legality of all three Baltic countries’ independence from the Soviet Union in 1991. Beyond that, Russia has also stepped up its presence along its border while increasing sorties into international airspace. Should We Be Worried About Japan’s Economy, Too? TOKYO — The doubters of Japan’s economic recovery are back in the driver’s seat after a sudden worsening of China’s financial outlook, combined with poor Japanese economic data. They’re raising new worries about the government’s recovery program, called “Abenomics.” The second-quarter figures for Japan’s GDP revealed what is euphemistically known as “negative growth”: The figures, announced on Aug. 17, showed an annualized contraction of 1.6 percent from the first quarter. News headlines blared that the recovery strategy is in trouble. This was quickly followed by a barrage of bad news from China, which is roughly matched with the United States as Japan’s biggest trading partner. The inability of Chinese authorities to draw a line under the sharp fall in stocks — Shanghai’s main stock market was down 22 percent over three days — has raised worries about the broader economy and given voice to suspicion that authorities have not been telling the whole story about China’s economic woes. How the U.S. Can Help Solve the Ukraine Crisis: Treat Ukraine Like Georgia? In August 2008, when Russia’s military appeared to be preparing to move through the Roki Tunnel from Russia into Georgia’s South Ossetia, Bush administration officials told Georgia’s then president, Mikheil Saakashvili,“don’t get drawn into a trap” and “don’t confront the Russian military.” They quite correctly feared that what one official termed “a ‘Guns of August’ scenario’” could lead to full-scale war and Georgia’s defeat. Yet today, some seem to think that the United States should take the opposite approach in Ukraine or even to imply that the Obama administration should not have discouraged Kiev from resisting Moscow’s seizure of Crimea from a position of great weakness. Few explain why Ukraine’s escalation—with or without lethal U.S. military assistance—would not spring the same trap that the Bush administration encouraged Georgia to avoid. Even fewer describe what America would have to do to prevent Ukraine’s defeat in a wider war. This does no favors for either the United States or Ukraine. Reports in the Russian media, if accurate, have made a bold claim: Moscow’s PAK-FA T-50 fighter could be much closer to joining Russia’s air force than many expected. However, economic pressures and technological challenges could be a big bottleneck to the program going forward. Many in Western circles feel the advanced fifth-generation fighter could be quite capable and a big upgrade for Russia’s air force. A Russian-language website has caused a stir with a report asserting that more than 2,000 Russian soldiers have been killed in the conflict in eastern Ukraine. Delovaya Zhizn, which translates as Business Life, published the information online in March, as part of a larger story of how the Russian federal budget was compensating relatives of servicemen killed in the line of duty. The report went unnoticed until Ukrainian websites and Forbes magazine’s online edition drew attention to it this week. Two former U.S. ambassadors to Russia and Ukraine – Michael McFaul and Steven Pifer, respectively – tweeted out mention of the report. The issue of Russian soldiers fighting in eastern Ukraine is critical for the Kremlin, which has routinely denied that its military forces are involved in the conflict between Ukrainian government troops and Russian-backed separatists, despite mounting evidence to the contrary. In some cases, the Kremlin has said that any Russians fighting in Ukraine are merely volunteers. In May, Russian President Vladimir Putin signed a decree classifying Russian military casualties in peacetime “special operations” as a state secret, and prohibiting their publication. WARSAW — Ukraine’s Ministry of Defense managed to recruit only about half of the 25,000 conscripts it was hoping for, according to Ukrainian Deputy Defense Minister Peter Mehed. 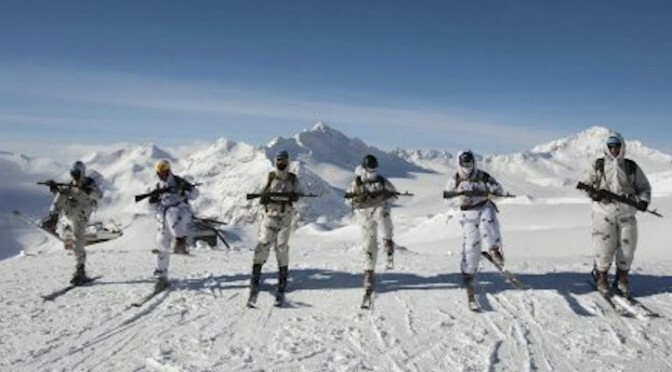 The government is implementing its sixth military draft this year. “Depending on how the situation develops, there could be a seventh, an eighth or ninth wave of mobilization. We’ve got 50 percent of the people we need,” Mehed told local broadcaster Ukraine Today. With the conflict against Russian-backed insurgents in the country’s east continuing despite a cease-fire deal signed in February in Minsk, local observers say the government must transform the military into a professional force. Earlier this month, Yuriy Biriukov, an adviser to Ukraine’s defense minister, said in a televised interview that the ministry needs to raise its budget to an estimated 100 billion hryvnia (US $4.71 billion) per year to increase its number of professional troops. As fighting in eastern Ukraine continues, the government is conducting a major military modernization program to upgrade the weapons and equipment, and purchase new gear. Saudi Arabia reportedly has taken custody of Ahmed al-Mughassil, accused of being a central figure in the truck bombing at Khobar Towers in eastern Saudi Arabia in 1996 in which 19 American airmen died. The report immediately raises questions about the timing of this story, the motives behind it, and the circumstances of the reported arrest. Supposedly Mughassil had been living in Beirut and somehow, in a way as yet unexplained, was turned over to the Saudis. 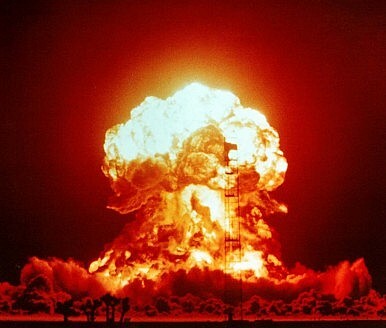 It is probably too much of a coincidence for all of this to be unrelated to efforts, including by the Saudis, to remind people of all the reasons they should dislike Iran, as the agreement to restrict Iran's nuclear program is under consideration in the U.S. Congress. (Investigation of the attack at Khobar eventually led to the conclusion that it was perpetrated by Shia Saudi militants working with Iranian military officers and Iran's ally Lebanese Hezbollah.) But set those questions aside and consider some legitimate lessons that the Khobar episode has for present issues. MacArthur merits top marks for waxing lyrical, and he was no slouch at generalship. But he hardly rates as an eagle-eyed observer of the postwar world. If the world rested quietly at peace, it did so only for an instant. Politics abhors a vacuum. War engulfed the erstwhile Japanese Empire anew as the surrender displaced Japanese colonial regimes across the region. Contenders warred to determine who would govern liberated lands from Malaya to Manchuria.